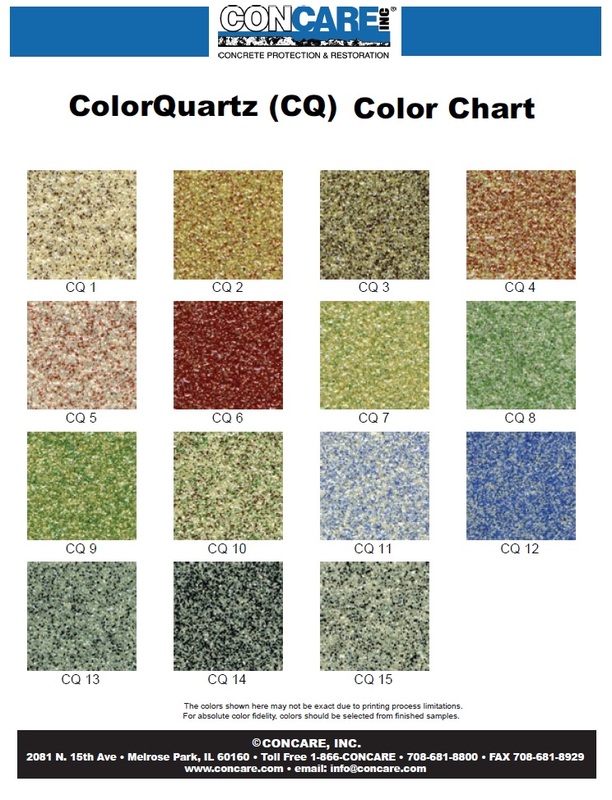 Select your epoxy coating with color quartz from our color chart. Be sure to write down the number underneath the color swatch. Color chart applies to CoatRight, LevelRight and GuardRight.